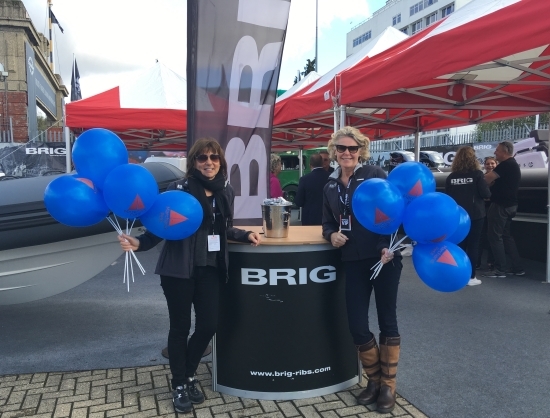 Following the successful collaboration of Marchand Petit and Wolf Rock at last year’s prestigious boat shows the independent estate agency and local marine company, home of BRIG UK, are joining forces again. At the Southampton Boat Show, 15th – 24th September, to promote the excellent lifestyle opportunities of living and boating in the South Hams. For home owners, buyers and those looking to relocate or acquire a second home in this glorious region of Devon, a boat becomes the next all important accessory. The extensive range of ribs offered by BRIG UK appeal to those new to the water, requiring tenders for yachts, as well as families looking to upgrade or purchase more sophisticated, larger models for recreational offshore use. Both companies look forward to greeting new vendors and buyers at the show which is held at Mayflower Park, Town Quay, Southampton SO15 1AG.